The 85th Battle of the Saints annual cricket big match between St Peter’s College and St Joseph’s College will be played for the Father Maurice J Legoc trophy and is scheduled for 1 and 2 of March at the P. Sara Oval. The match will be sponsored by Dialog Axiata Group. The Peterites will be led by all rounder Ranmith Jayasena and Josephians by under 19 player Ashain Daniel. St. Joseph’s leads the series with 12 wins and their last win came under the captaincy of Ruwantha Fernandopulle in 2008. St. Peter’s won the 2016 encounter under all-rounder Vinu Mohotty and has an overall tally of 10 wins in the series.Dialog Axiata PLC, HNB, Ceylon Biscuits Limited, American National College , Elephant House, Keells Krest, Maggi and Jetwing Hotels will sponsor the match. The Josephian-Peterite limited overs match which is the longest running limited over encounter between the two schools and played for the Fr. Peter A Pillai trophy will be worked off on 23 of March at the SSC grounds. The Josephian-Peterite limited over commenced in 1975 under the Rectorship of Rev. Fr. Quintus Fernando of St. Joseph’s College and Rev. Fr. Claver Perera of St. Peter’s College, with the first game of the series played at St. Joseph’s College grounds on 16 March 1975. The Josephian-Peterite limited over game which was the first encounter among schools has always attracted the highest number of spectators for a school’s 50-over encounter. The 2-day encounter as well as the one-day match will be telecast Live on Dialog Television channel Number 77, live-streamed on ThePapare.com and on the Mobile TV streaming application MyTV, with no data charges applicable for MyTV customers. 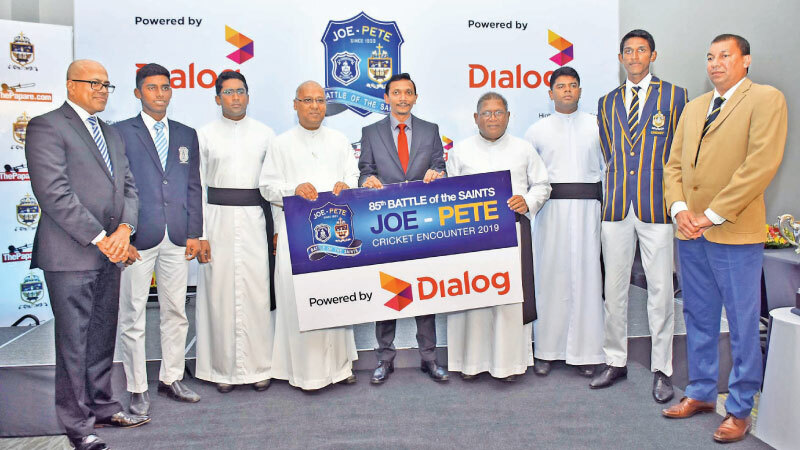 Asanga Perera, who skippered the Peterite XI in 1992, will be the chief guest at the 85th ‘Battle of the Saints’, while Brian Obeysekere of St. Joseph’s College and Denhan Juriansz of St. Peter’s College, who captained their respective sides 50 years ago, will grace the match as the guests of honour.